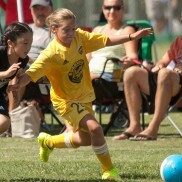 Join the professional coaches from Placer United Soccer Club for Munchkin Madness. Clinics will include a variety of fun games and disguised learning, working on soccer skills such as dribbling, passing, ball control, and shooting. Placer United Soccer Club offers an ongoing skills camps series designed to improve a player’s technical skills and tactical understanding of the game in a positive environment that stretches each player’s current capabilities and encourages creativity in their play.